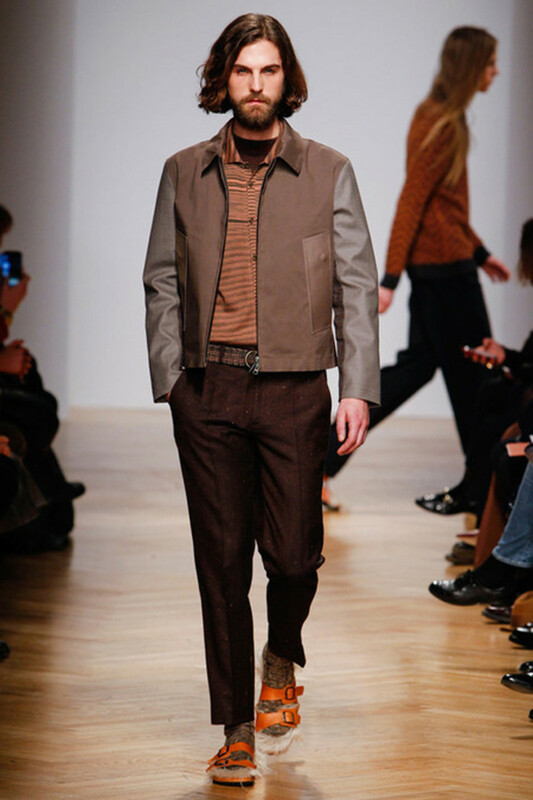 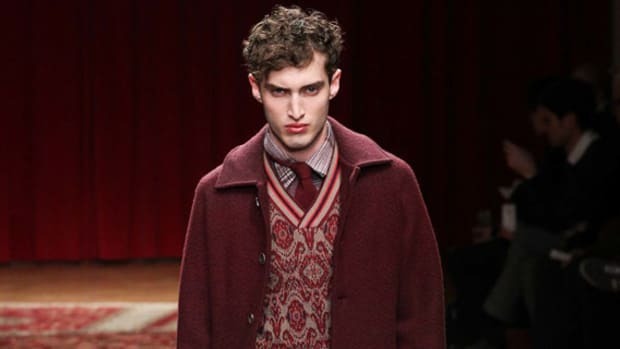 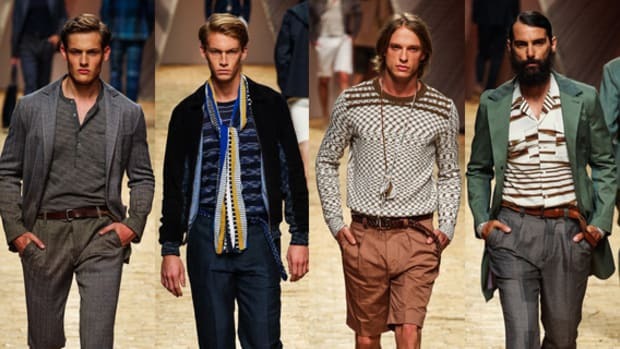 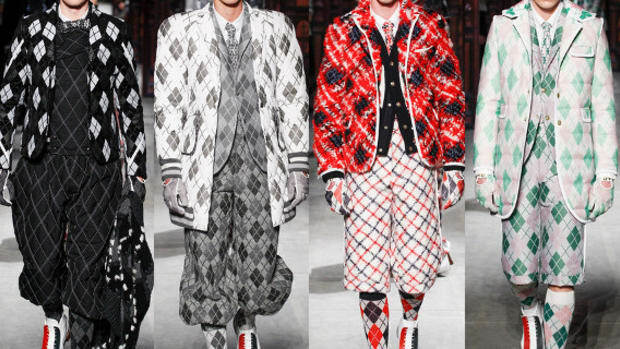 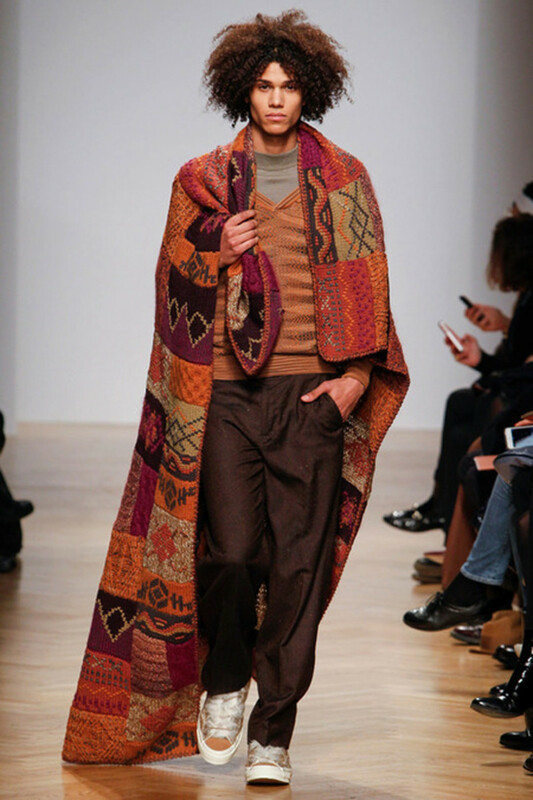 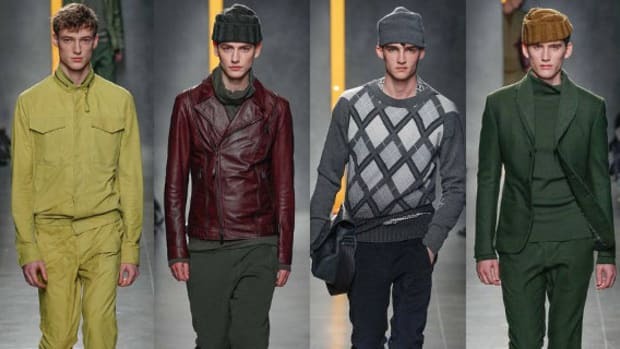 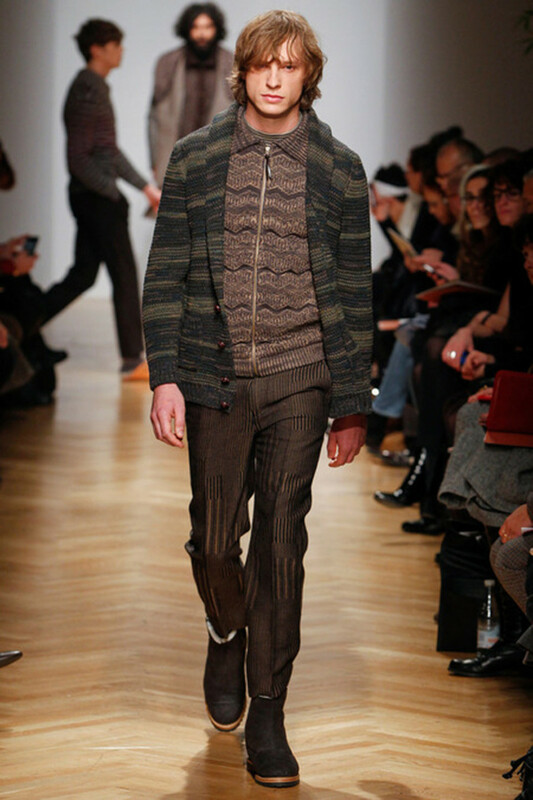 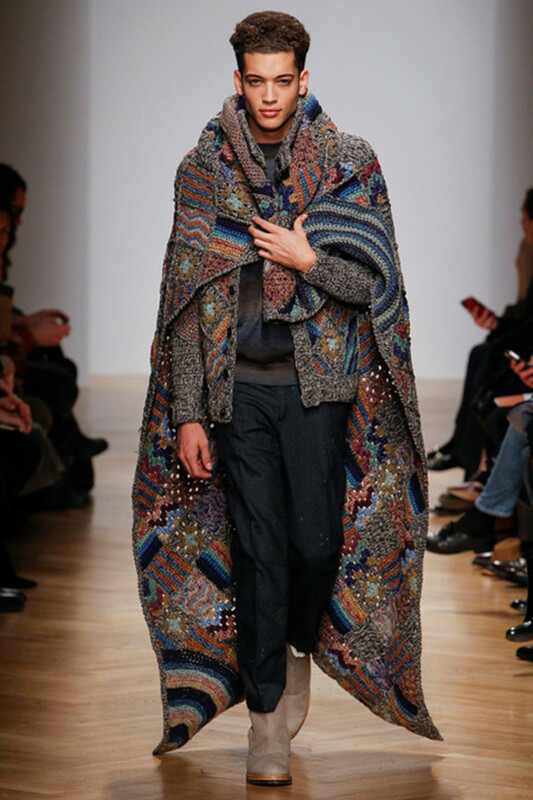 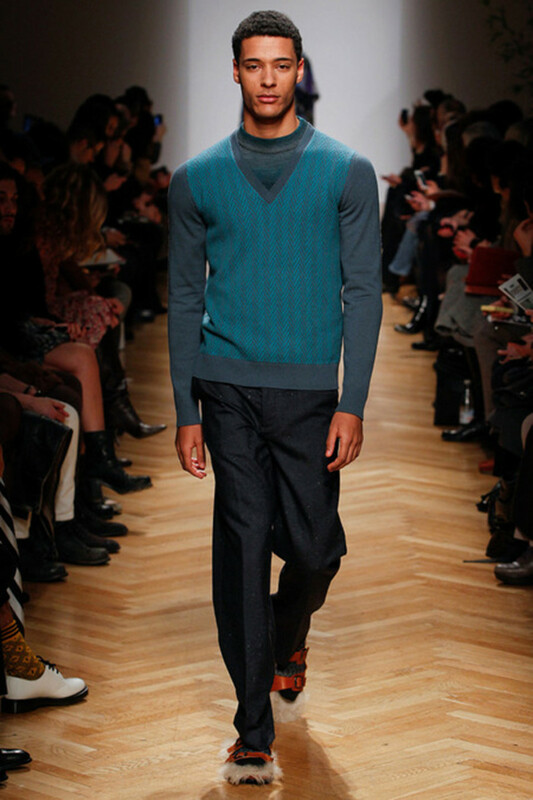 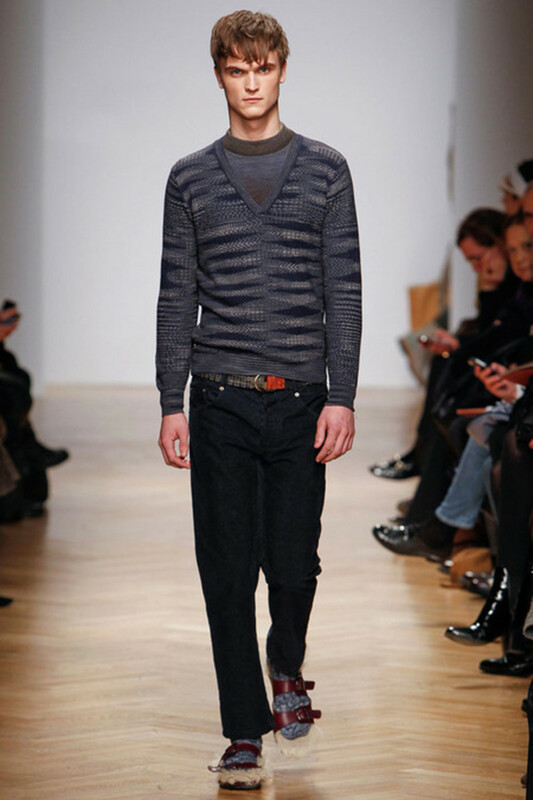 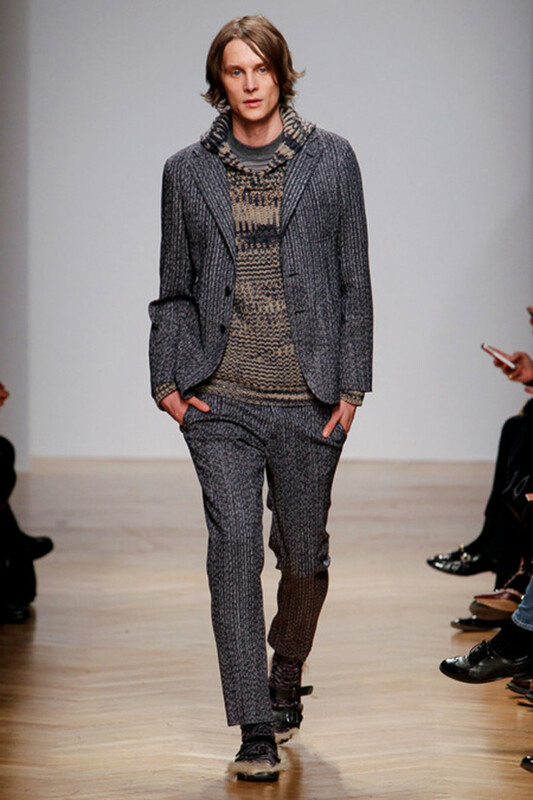 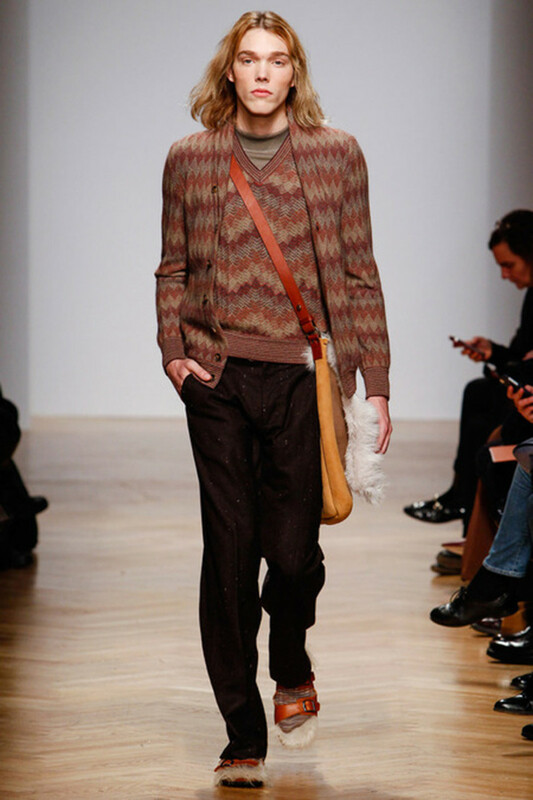 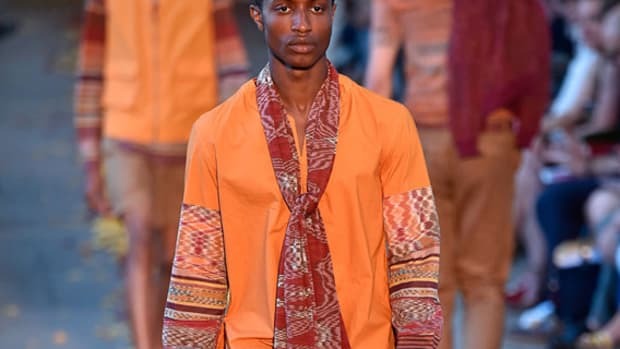 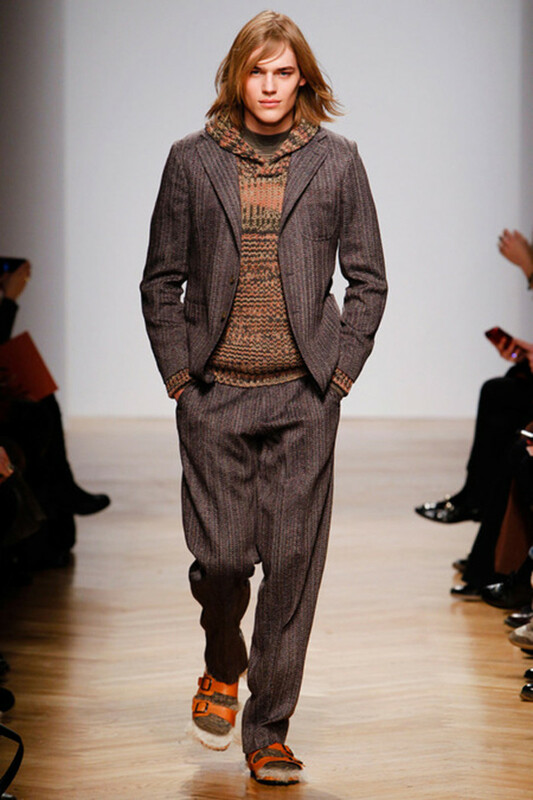 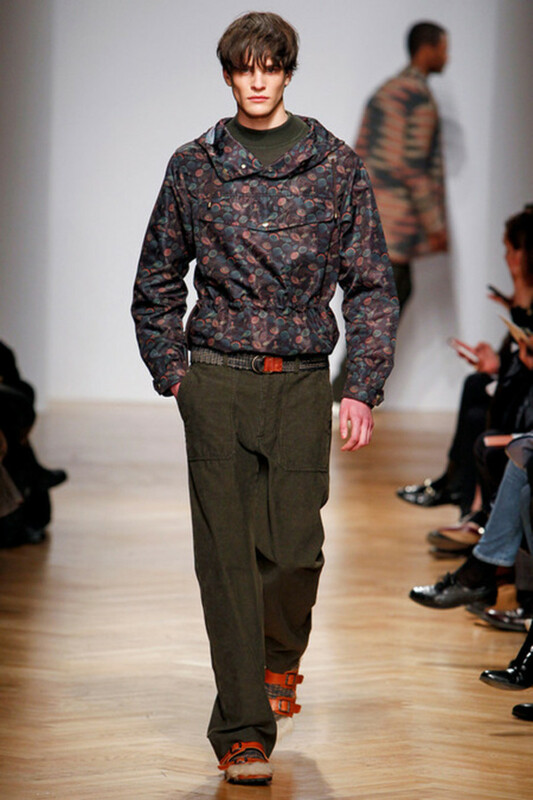 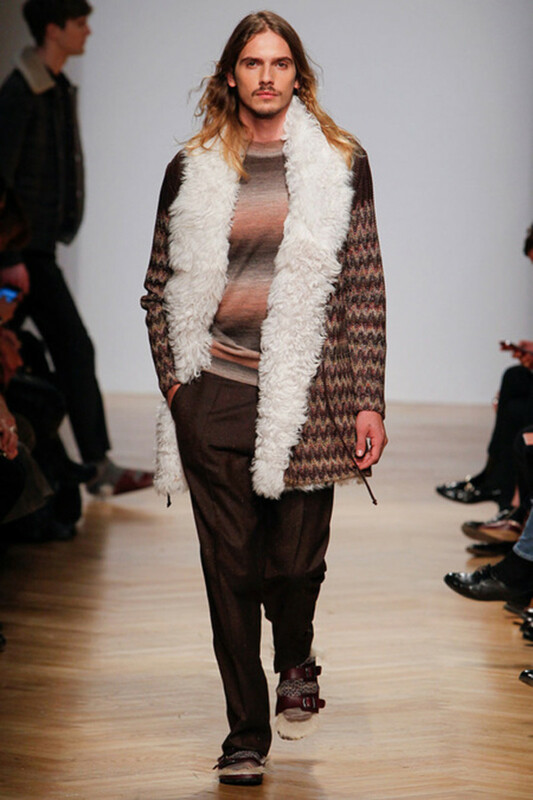 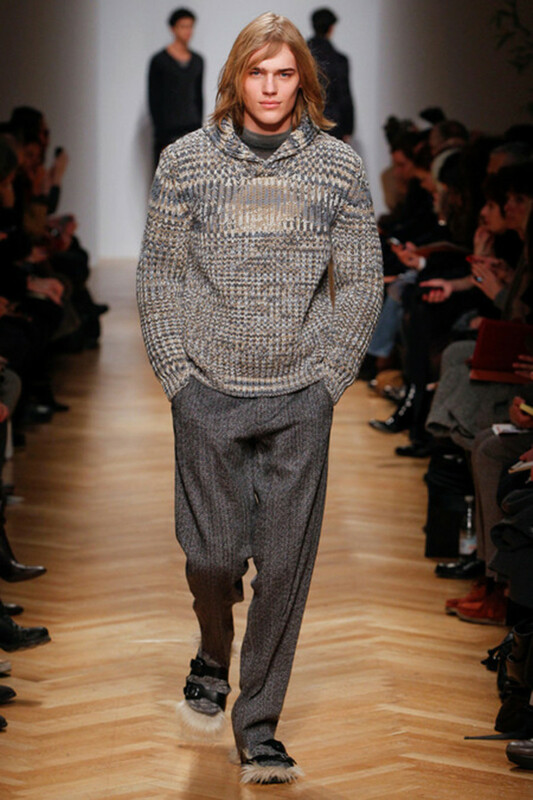 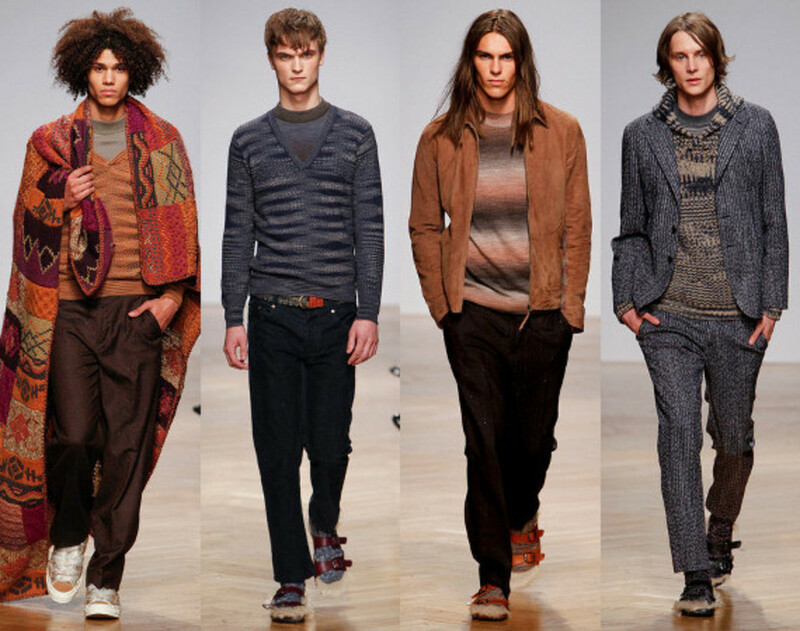 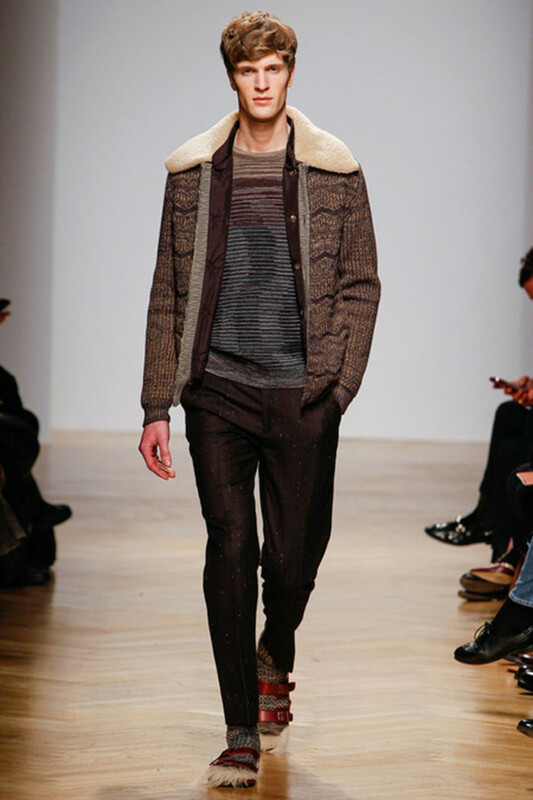 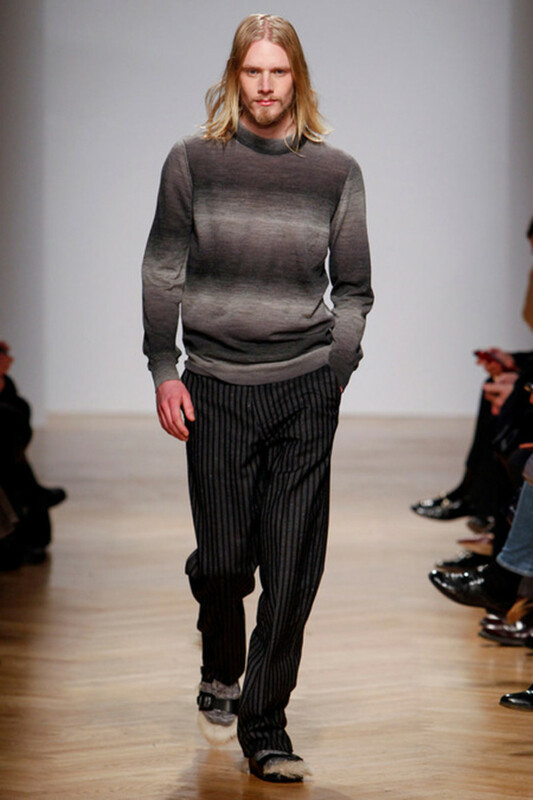 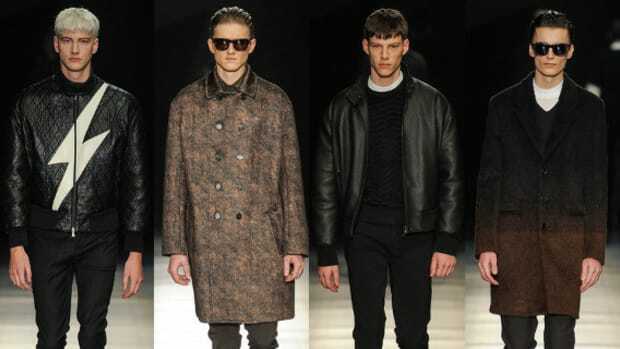 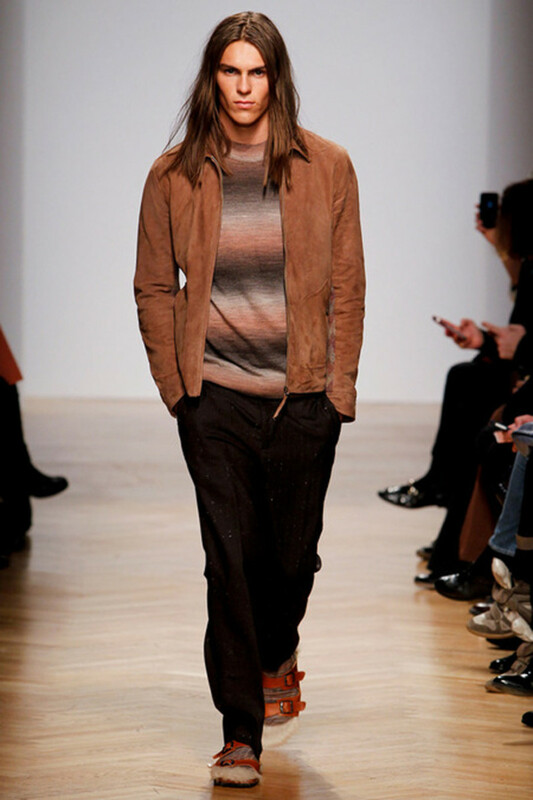 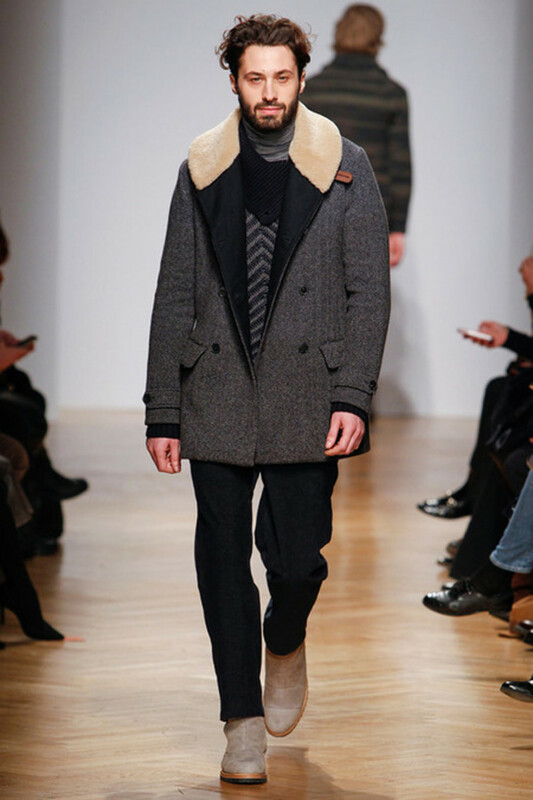 At Milan Fashion Week, Missoni‘s Fall/Winter 2014 menswear collection exhibited a relaxed, ’70s beach vibe, featuring the brand’s knits and suiting, adorned with the brand’s zigzags, waves, and stripes. 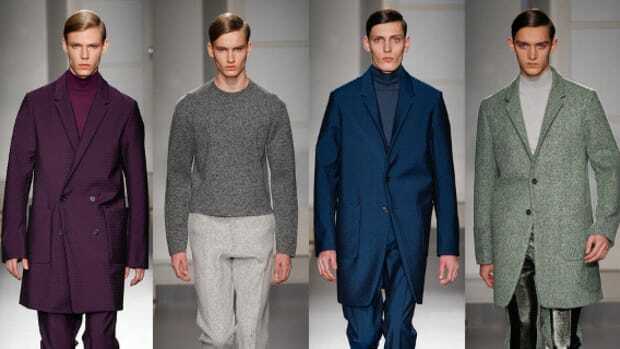 The silhouettes were relaxed but never sloppy, the colors muted yet evocative. 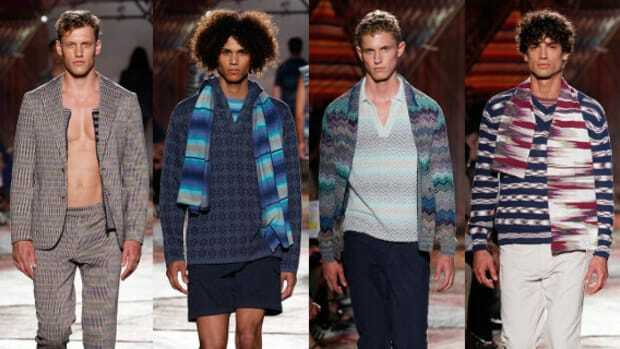 And what they called to mind were chilly evenings on the beach, reinforced with the appearance of slouchy cardigan sweaters and cozy blankets draped over shoulders. 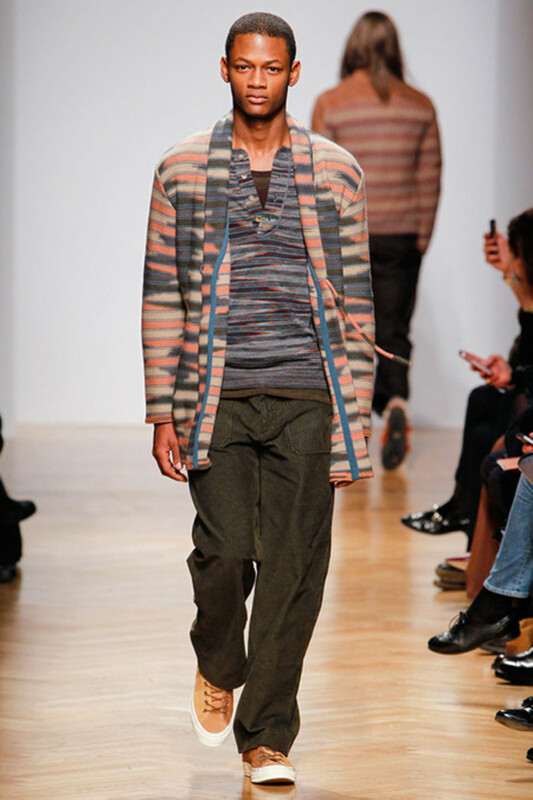 Ragg socks worn with sandals finished the neo-bohemian aesthetic, trimmed with fur to convey a sense of plush comfort that can accompany the nomadic life. 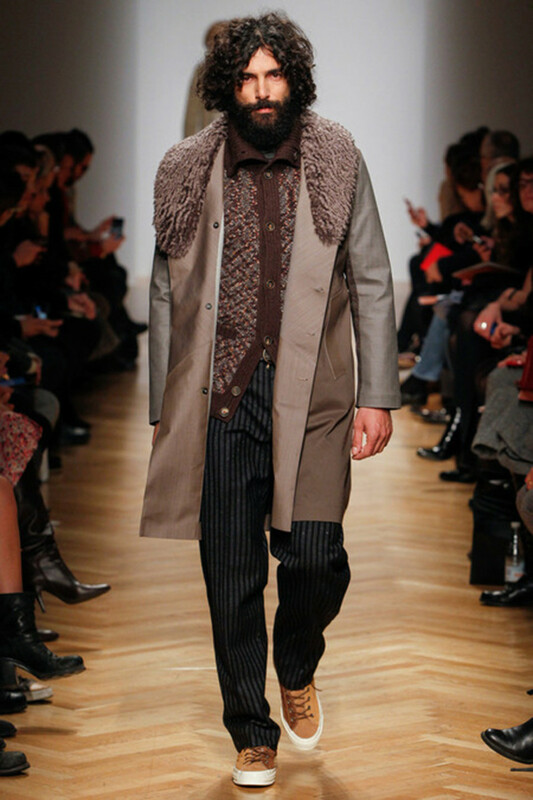 See the rest of the runway collection below.